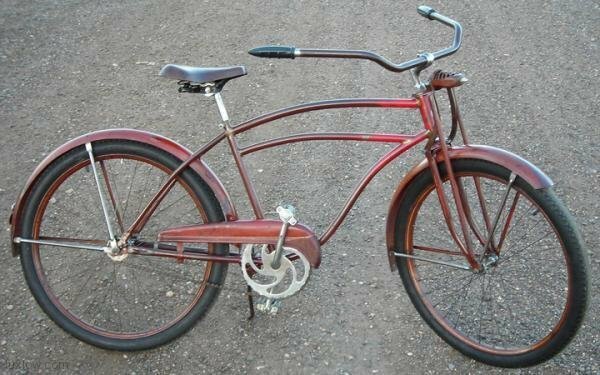 This is a 1941 Prewar Western Flyer Bicycle Made By Huffman Manufacturing for The Western Auto Department Stores, making it a Western Flyer Bicycle. Huffman Manufacturing was Known for Boasting Quality, Not Quantity and Later Became the more Commonly Known Bicycle Brand, Huffy. This Bicycle Features a Highly Unique Springer that was only Used Slightly Before the World War II and a Few Years Following the War. 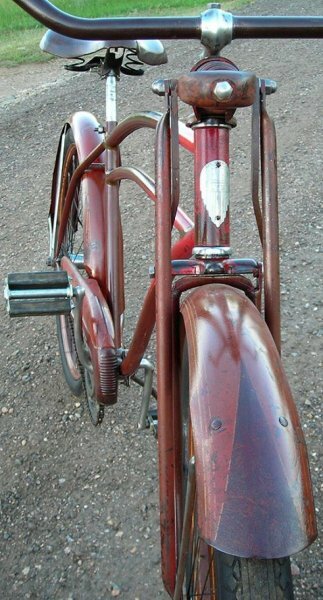 The Patina and Original Paint on this Bicycle is Incredible. This Bicycle is Totally Rebuilt with Original Parts and Rides Like a Dream. 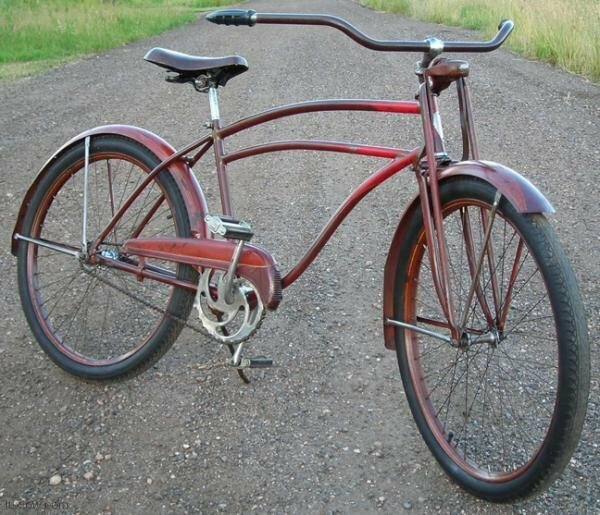 The Grips are New and the Seat is from the Era, but Not Original to this Particular Bicycle. This is Full Size Ballooner Mens bicycle with Big 26″ x 2.125′ Ballooner Tires. 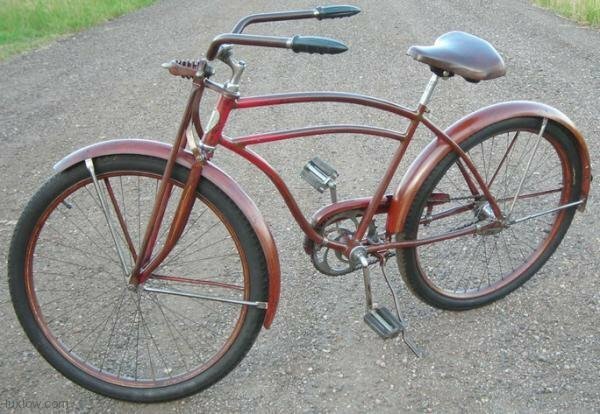 This Bicycle has Original, Antique, Good Year, Prewar, G-3 Air Wheel Tires. The Hubs Have been Rebuilt and are in Good Working Order and the Drive System Uses the Rare Skiptooth Chain ( 1″ Pitch).